There are losers and there are winners. We are taught that by Simon (and as we all know, whatever Simon says goes) in The Gift, and this film has to be labeled as well. It is a clear winner, and what a knockout debut for the actor-turned-filmmaker Joel Edgerton. The Gift is an indie movie that slowly burns into a thriller, and, like a cigarette, you will experience a choker at the end as well. The Gift will have you by your shirt the entire movie. Like any debut goes that isn’t American Beauty, there is a little bit of a formula present that nicely settles this film into its appropriate genre, but aside from that, Edgerton’s first effort is a film that barely feels like a beginner made it at all. There is, rather than a love triangle, a triangle of respect in the heart of The Gift. Do the husband and the wife respect one another? The wife and a new acquaintance? The two former classmates? No one is clearly in the right, because everyone here does some wrong. A husband and wife named Simon and Robyn (played by Jason Bateman and Rebecca Hall) move into an old neighborhood of his. They wish to start a new life. However, you cannot simply move on from the past, and The Gift reminds us quite often. When an ex classmate named Gordon (played by Edgerton himself) spots Simon from afar, he wishes to make amends. Simon won’t have any of it, though. The Gift has Gordon leaving many presents for the couple at their doorstop, but we get our own gifts all over the film. You can spot the amount of monkeys there are, how many times you see green Gatorade, what glass represents and more. You can also pin point so many plot devices that aren’t explicitly mentioned to you, and most every turn has an answer. With each scene comes a step forwards into the next segment that is fully prepared. There is a clever ruse for all of this, though. Notice who Gordon is played by, and who is in the most control of the movie. That’s right: The Gift is Edgerton’s chance to screw with his audience. It is the most fun I have had being bullied. The movie will twist and turn in ways you won’t expect for the most part. There is a lot to say about what bullying can do to one’s mind, and whether or not people really change from their high school days. You can’t justify most of the actions done here, but you can applaud Edgerton for his storytelling choices. The Gift is a disturbing film that ends off with a scary thought: Can the gift of life be bad? Never mind the resolution, because you can apply that question to those who become evil to move ahead. Who is to say one’s life is above another? That’s the moral thinking that makes the ending so difficult to think about. The Gift is full of trauma and pain, and it will make you concerned about how far people will go to feel important. There’s a reason why there are the three monkeys on a table in a scene. They see, hear and speak no evil. Do these monkeys count as bystanders who are just as guilty for not stopping bad but merely witness it instead? Are we monsters for whishing ill on specific characters for their own actions? Joel Edgerton has really pieced together quite a first project here, and a lot of thought went into a film where characters do thoughtless actions. 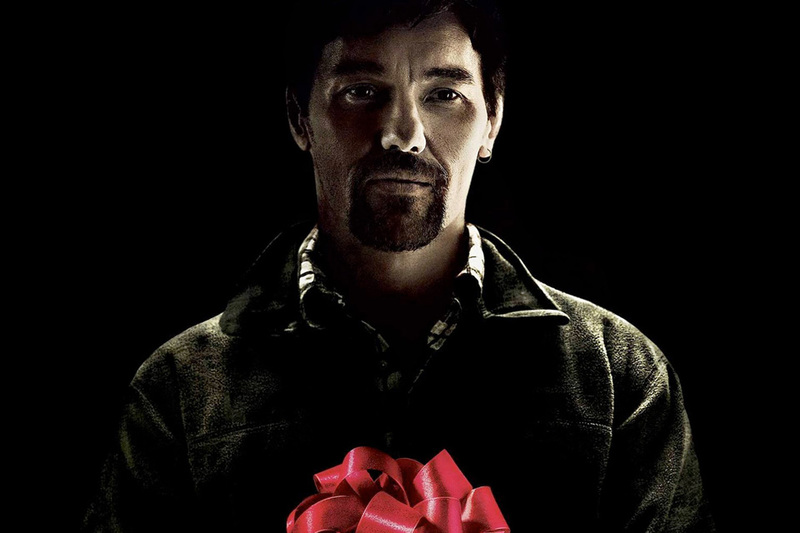 The Gift is the biggest surprise of the year so far with its strong acting, rolling pace, brooding shots and nicely packaged script (Edgerton, despite being a part of a film way out of awards season, poses a shot at both a screenwriting and supporting actor oscar nominarions here). Yes, there are winners and there are losers in the world. Who gets to decide who is who, though?